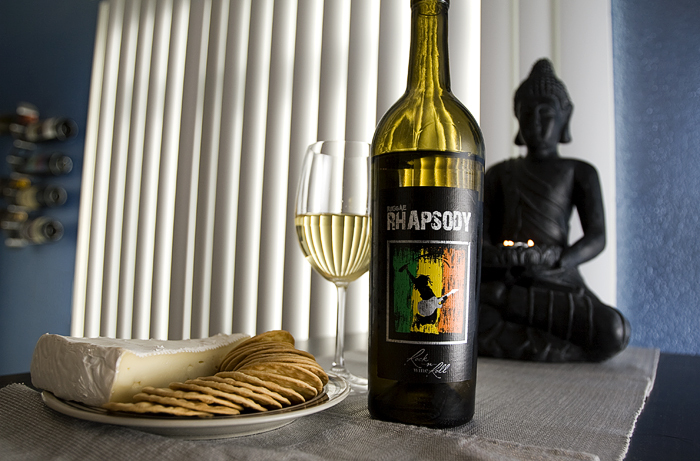 I bought this bottle of Rock 'n Roll Wine's "Reggae Rhapsody" for Louie's birthday a few weeks ago. He finally came back from his two-week road trip, so we wasted no time in popping it open. I also bought some cheap water crackers and brie from Fresh & Easy. Haha... I wasn't going to, but it was a nice little exercise.